Manchester’s rebirth as a cultural centre as deep and as vital as any in Europe begins with this generous 4-star hotel in the Deansgate area of the city. 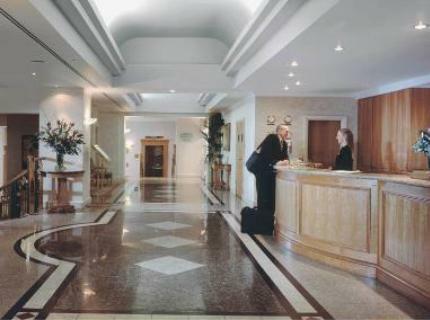 The Renaissance is a luxury four star property in the Deansgate area of Manchester and ideal for Piccadilly Station, the MEN arena, GMEX and the world famous Arndale Shopping Centre. The 203 air-conditioned bedrooms are significantly more spacious than its main rivals in the city and many of the rooms offer spectacular views of the famous industrial skyline. The gentle neon glow of the nearby cultural quarter provide a cosy backdrop at night. The beds come in Double and King sizes and movies-on-demand complement some first class in-room media elements. Club Rooms offer additional sitting/living space. The lavish spirit is further enhanced by some of the finest Egyptian linen, hypoallergenic duck-down and goose feather pillows that ensure that guests sleep peacefully. Wireless, high-speed Internet is available in guest rooms, public areas and meeting rooms. Business support services include a copying service, fax service, messenger service, secretarial service, translations service and overnight delivery pick up.